The Student Spaceflight Experiments Program (SSEP) offers a once-in-a-lifetime opportunity to design authentic research for the ISS National Lab! 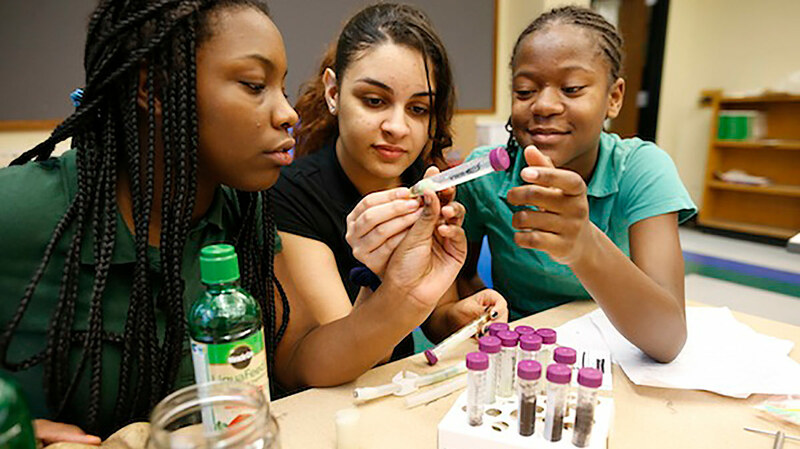 The National Center for Earth and Space Science Education created SSEP in 2010 and maintains the program through partnerships with DreamUp PBC, NanoRacks LLC, and CASIS. Outside the U.S., the Arthur C. Clarke Institute for Space Education leads the program. Students in fifth grade through college investigate diverse topics including seed germination, crystal growth, food studies, cell biology, and physiology and life cycles of microorganisms. Their experiments must fit within the size and engineering constraints of a mini-laboratory compatible with the Space Station’s experiment racks. SSEP provides free educational resources to help teachers and students understand the special challenges of doing research in the microgravity (weightless) environment on the ISS. SSEP embraces a Learning Community Model for STEM education. Each participating community, generally a city or town, has its own competition with multiple student teams. Mirroring how professional research is done, the teams submit research proposals that go through a formal review process. One experiment from each community is selected to fly to the ISS. “SSEP is designed to empower the student as scientist, and within the real-world context of science. Student teams design a real experiment, propose for a real flight opportunity, experience a formal proposal review, and go through a NASA flight safety review. They even have their own science conference at the Smithsonian National Air and Space Museum, where they are immersed in their own community of researchers,” said Dr. Jeff Goldstein, creator of SSEP and NCESSE Center Director. Join the Community Network, and learn about past experiments.